Brilliant young bookworms from across Kent were feted after smashing reading records through a scheme supported by Whitefriars. KM Group has permission to sell this image via photo sales and to re-sell the image to other media for single-use publication. Members of Buster’s Book Club, the KM Charity Team’s home reading scheme, have read for 3.6 million minutes between them already since the start of the year – giving them the honorary title of reading millionaires three times over. Some 101 schools in Kent and East Sussex have signed up for the scheme this year – which works out at an average of 594 hours of reading per school in total, or 54 hours per week. Buster’s Book Club encourages children by turning reading into a competition, where all the classes within a school compete with each other to see who can read the most. 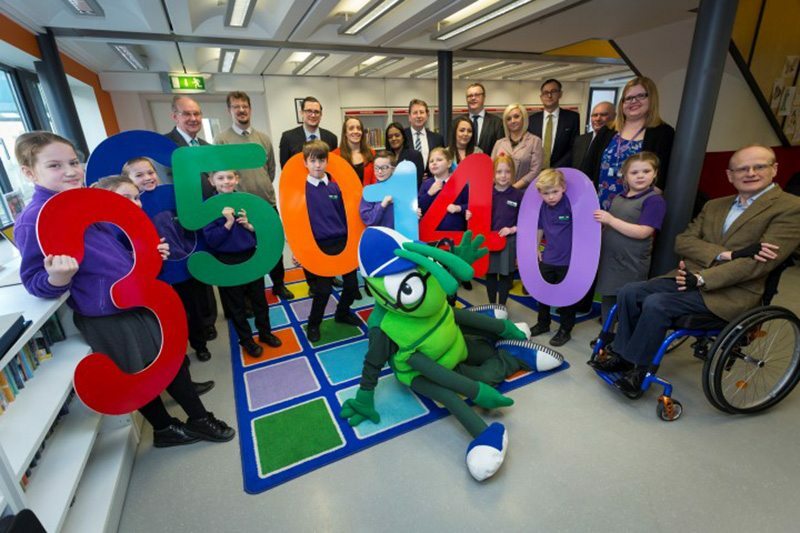 Children from Canterbury Primary School were invited to the city library to meet some of the supporters of the scheme and of course Buster Bug himself. Peter Scutt, centre manager of Whitefriars, said: “Reading is so crucial and it’s great to get children off to a young start, whether they’re reading at home with their parents, at school, or even in the shopping centre – we have reading trees this year where they can come along and pick books and take them home to read. To sign up or for more information, visit www.bustersbookclub.co.uk or call Kathy Beel or Charlotte Hayes on 0844 264 0291.